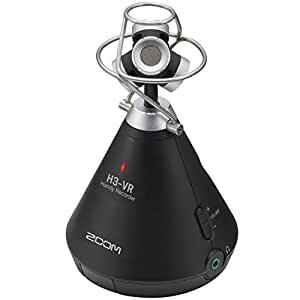 The Zoom H3-VR virtual reality audio recorder is the complete solution for cpturing and processing spatial audio for VR, AR and mixed-reality content. With a built-in Ambisonic mic, recorder and decoder, the H3-VR is an all-in-one 360-audio solution. The H3-VR also comes with a free download of Zoom Ambisonics Player post-production software capable of converting your Ambisonics audio to 5.1ch surround sound.